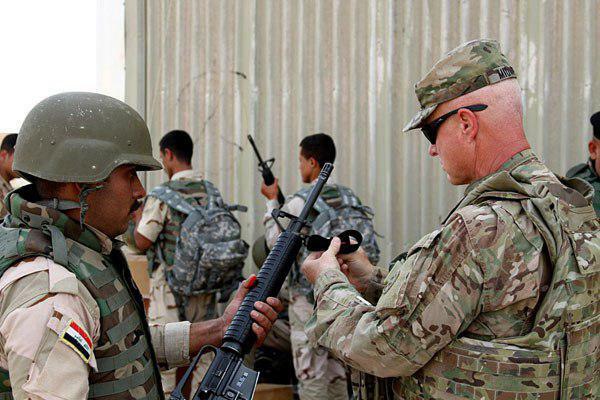 An Iraqi source says that any escalation between Washington and Baghdad could be felt in Baghdad, and Iraqi forces in Anbar, Baghdad and Saladin bases have reported that Americans are intensifying security measures around barracks. The reports came after Chief of Staff of the Iranian Armed Forces vowed that Iran will not remain silent over the unwise decision made by the US government. Major General Mohammad Baqeri said if the US forces in the Western Asia do anything wrong, Iran will firmly respond, Fars News Agency reported. He said Washington’s move shows the US government’s weakness and desperation in dealing with this lawful and popular organisation. Following Trump’s Monday announcement, the Supreme National Security Council of Iran officially designated the US regime a “State Sponsor of Terrorism” and its Central Command (CENTOM) a “terrorist organization”.